Dallas has always carried a reputation of conservative wealth wielded by southern male tycoons. But anytime a region's veneer shines with such a high gloss, you know that there's an opposing force lurking beneath the concrete. Ann Richards kept the balance with her big hair and whip-smart sentiments. Mary Kay Ash taught ladies they could gain financial independence via rouge peddling. Now let's take it even deeper and represent those larger-than-life women with transgender models and we've got “214 Trans4m” at Kessler X. Jamming a mascara wand in the eye of traditionalism is former Dallas Voice editor Daniel Kusner and professional photographer Bryan Amann. Together the pair has selected pivotal people, moments and locations around the city and given them a photo narrative. 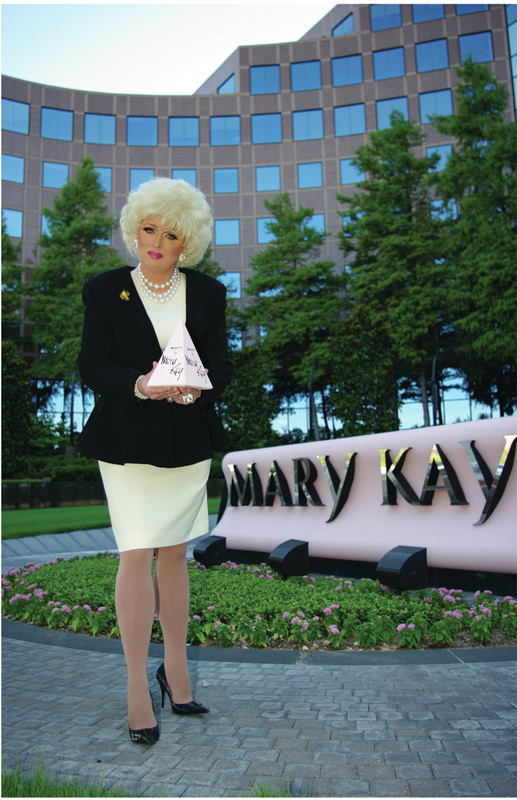 Dallas illusionists adopt each scene's character, (which for some, like Mary Kay, is almost too fitting) and then act her out at historic places. There's even a reenactment of Tina Turner finally ditching that jerk dude of hers at the Statler Hilton. ​The exhibition is a fun take on power politics and local lore, but it's also a reminder that not all Dallas men and women fit neatly into a predetermined category. ​​I think Ann Richards would have loved this show.